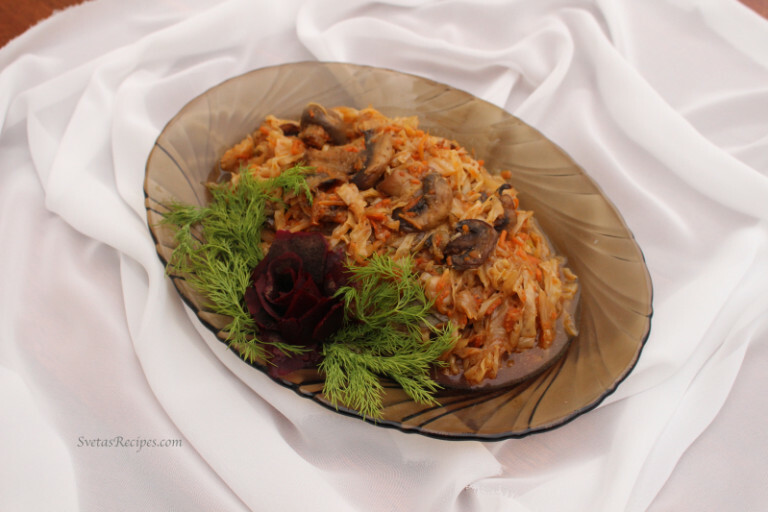 Fried cabbage is like a tradition in Ukrainian kitchens. Some people make it for Christmas or New Years. The vegetables will taste quite well. This recipe is also very unique in its own ways, its passed down many generations from our ancestors. 1.) Wash and dry mushrooms, cabbage and carrots, chop cabbage into thing pieces. 2.) 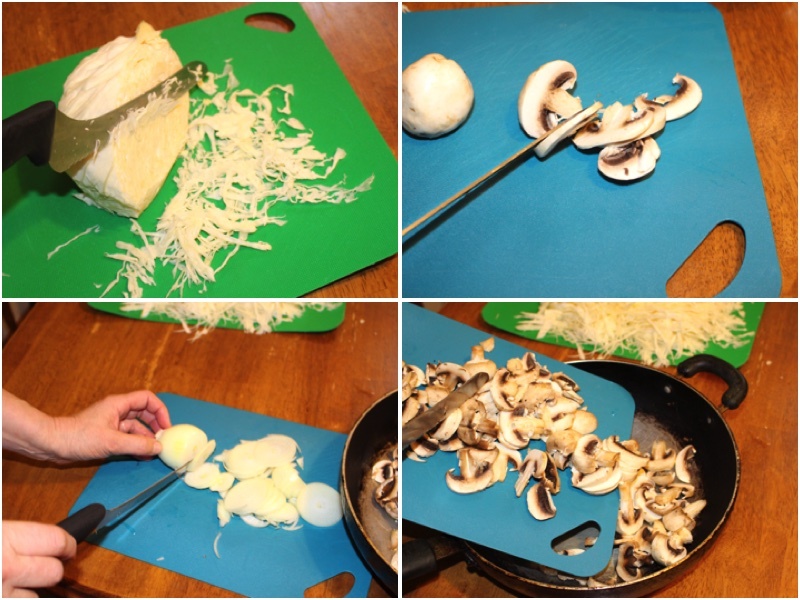 Slice mushrooms and onions into very thin slices. Add mushrooms to a preheated, oiled skillet. 3.) Add onions and bay leafs. 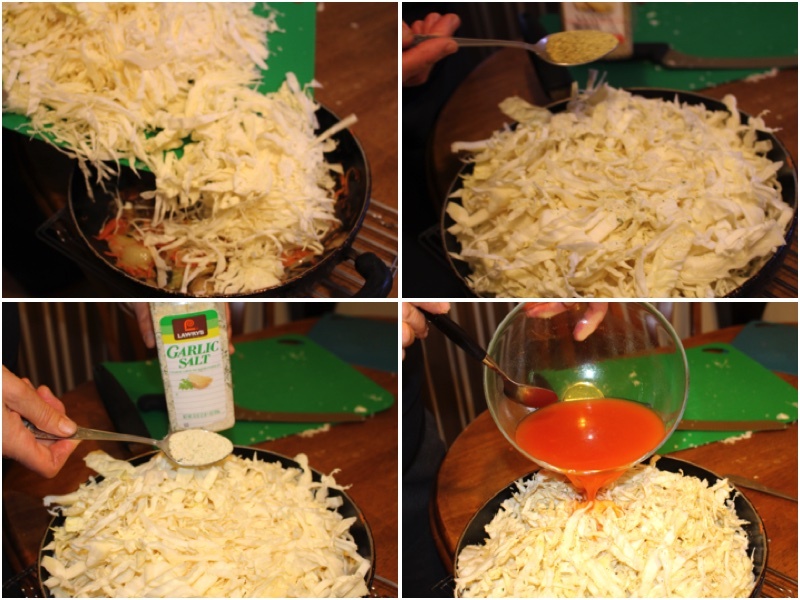 Shred carrots carefully and and to the skillet. 4.) 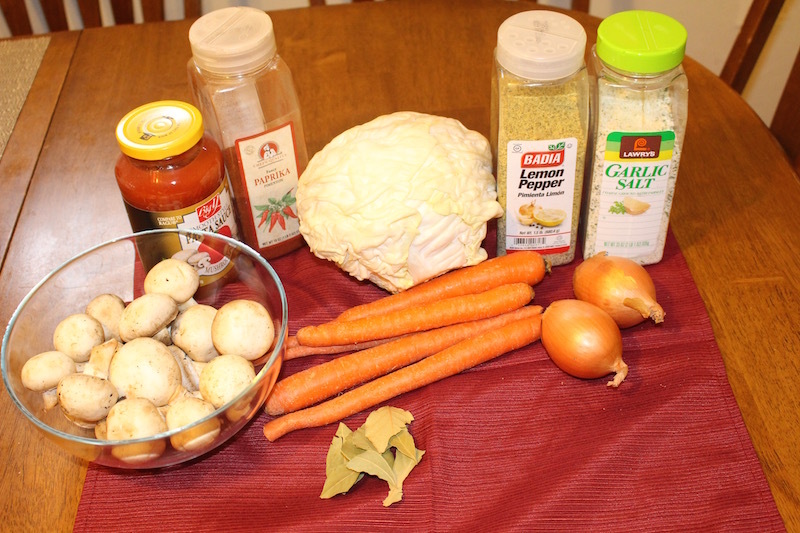 Add tomatoes sauce and water to a bowl, mix the liquid together well until water is absorbed. 5.) Fry the ingredients for 15 min on medium heat. 6.) Add cabbage, garlic salt, lemon pepper and tomato sauce to the skillet. Cover with a lid and fry on medium heat for 15 more min while mixing occasionally until vegetables are crisp. Wash and dry mushrooms, cabbage and carrots, chop cabbage into thing pieces. 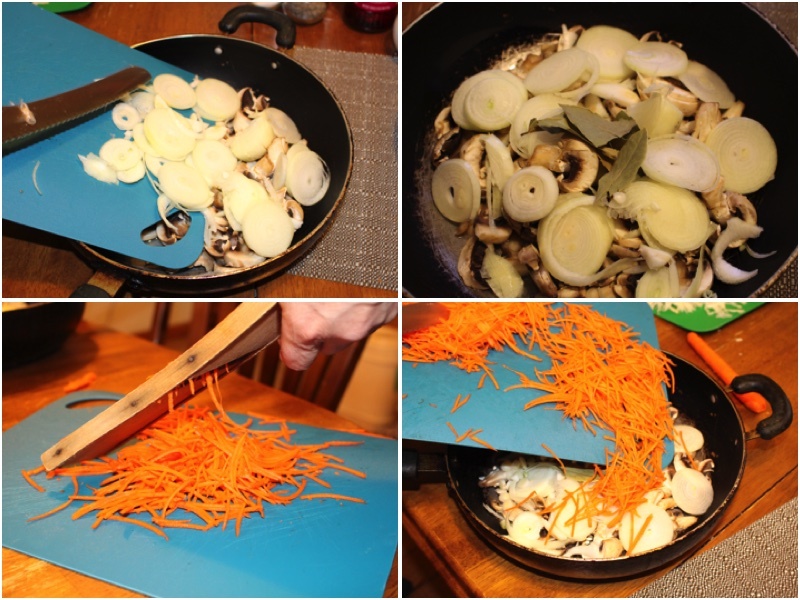 Slice mushrooms and onions into very thin slices. Add mushrooms to a preheated, oiled skillet. Add onions and bay leafs. Shred carrots carefully and and to the skillet. 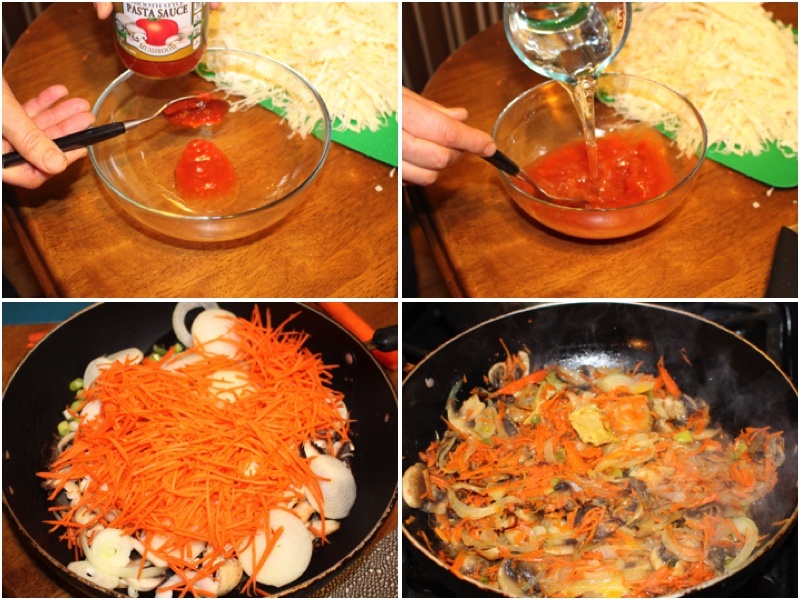 Add tomatoes sauce and water to a bowl, mix the liquid together well until water is absorbed. Fry the ingredients for 15 min on medium heat. Add cabbage, garlic salt, lemon pepper and tomato sauce to the skillet. Cover with a lid and fry on medium heat for 15 more min while mixing occasionally until vegetables are crisp.